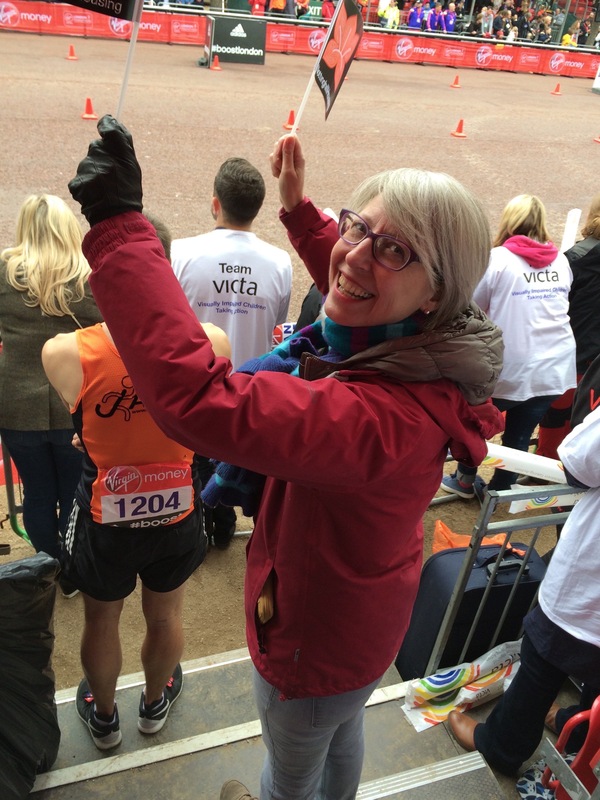 On 26 April we watched the London Marathon. Notting Hill had 20 runners in the race and it was a very exciting spectacle. Many of the competitors had been training for months to ensure they could do the race without expiring. Having now spent six months planning and sewing my collection I feel I have been involved in a marathon of my own. I decided to enter the 2015 Stitchers Guild Sewing with a Plan in November 2014, and I have just finished and photographed my collection. None of the fabrics cost more than £10m, except the white silk for the silk dress which was about £12m. I left the navy dress and white overblouse on a train and thought I had lost them for good (I cried). Thanks to Virgin Trains they were recovered. I hadn’t realised how much stress I was carrying. Just getting my 11 garment collection to fit, to work, to please me; to use the exercise to push myself; altering items that didn’t quite work; photographing them nicely. I gave up going to the gym quite a few mornings so I could commune with the collection. And now it is all done my husband is glad to get me back and I can do as I please for a while. At the weekend my son Gus kindly took the photographs which I have now uploaded on the site. Well it goes without saying that I LOVE your collection and your lively photos. Bravo, Gus. And brava you, K. I have learned so much from you, which I have said before, but you are a terrific role model. It’s been so exciting to watch your creative process and to see how you triumph with grace. I love all of your pieces, which are classic and bright and fit you perfectly. I can’t even pick a favourite. I especially love your floral dress, the navy suit, and I think the mix of the navy jacket with the fuschia and white is especially striking. Your self-drafted kimono jacket suits you so well. All amazing! PS Way to go Notting Hill runners in the London Marathon! How I wish I could have been there to watch the finishers. This collection is so awesome! Your photos turned out so great. The styles are fabulous on you and the colors really suit you. You really put a somewhat modern spin on the vintage patterns. I did manage to finish all of my items, and I spent today working out how to use my phone as a remote to take photos with my new camera. So photo sessions start tomorrow. Well done Kate! A practical, funky yet elegant wardrobe, with all items working in a multitude of combinations. Thank you for sharing your creative process and your life story as you went along creating this. It was an exciting journey. My absolute favourite is the floral dress and I quite like the fact that it’s a involuntary reincarnation of two dresses you’ve had before. It will still make everyone turn their heads as you walk by. Stunning. Kate – are we able to access the photo gallery to see your photos in full or are they for members only? Yes I think you can get onto http://www.artisanssquare.com as a guest and look at the gallery there. Stephanie, Cheryl and Ruth have already got their collections up which are wonderful, and I am hoping Karine gets her picutres up soon. Let me know if you can see them! i did find the group but couldn’t see how to access the gallery. Just beautiful. ..well done Kate. I’m tantalised by the hidden camisoles….any chance of a ‘not the official SWAP’ gallery? I have featured the painted camisoles on this blog (rather extensively – click on SWAP 2015 in Tags for the posts), but publishing the outtakes is a definate possiblity! I had the same question, as it’s a shame that the beautiful camisoles don’t show in the gallery! Wow, the photographs look absolutely fab! Congratulations on the whole collection. Wow…I’m awe struck, it’s a fabulous collection!! Good to see you so happy and relaxed. The photographs are wonderful! Congratulations Kate! They are all fabulous!! A belated congratulations on your new wardrobe. A well done to your son for photographing so well; it’s easy to compare and visualise the combinations when there’s uniformity in angles and lighting. How like a marathon this project sounds but at least you didn’t have to supplement your energy levels with sugary gunk (or maybe you did?!). Love the color palate and all the happy smiles. I love your colour sensibility. 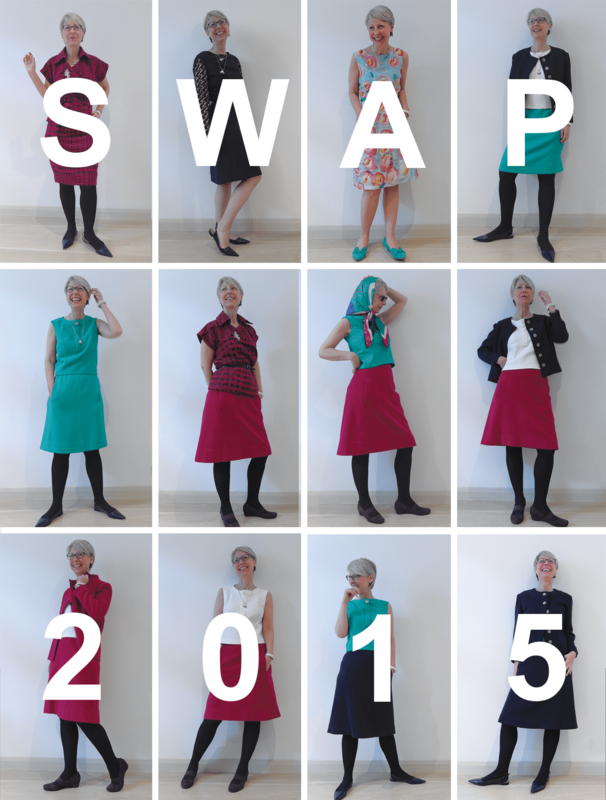 Great SWAP with endless possibilities for add ons. Wow! This collection looks like the couture selection that it is!